Have you ever been asked to "console" into a device? I talked to an engineer once and told him he needed to console into a switch and do a configuration, and his response was "How do you console into the switch"? Needless to say, I was a little shocked to hear that. 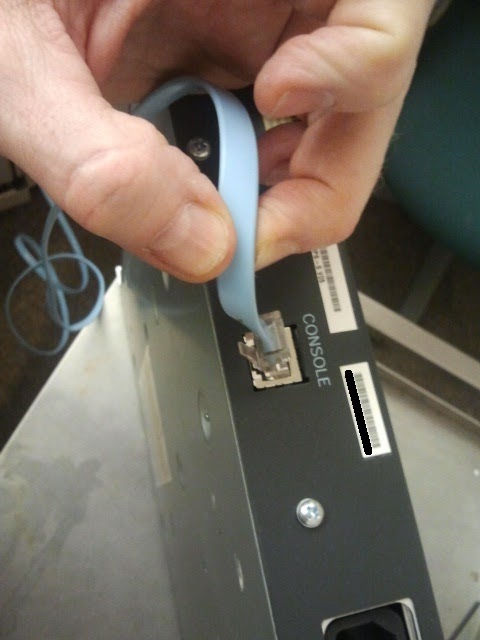 So, I thought Id put a picture up of what a Cisco console port looks like, with the console cable plugged in. Its below FYI. But most enterprise level equipment has a console port for you to be able to get in with. Cisco, Brocade, Check Point, etc. Most have them, and Im glad they do. Sometimes you just have to have that access. I think this tech guy just had all the theory down, but no practical application or real experience. It was odd to say the least.